How to find free or cheap ski or snowboard gear. The Southern Hemisphere ski season is fast approaching and you intend to make the most of that good white stuff! (We mean snow, for God’s sake). Whether you have a season pass to the South Island’s mountain range ski fields or you’re working for the season on a North Island volcano, one thing is for sure – you’re going to need some snow gear. As backpackers, we don’t want to carry snow pants, bulky ski jackets and boots around the rest of New Zealand with us after the season is over, let alone dragging a snowboard or a pair of skis! With that in mind, you’re probably not going to want to keep your gear after the season, so you don’t want to spend too much money on gear. We’ll go through the best places to find free or cheap ski and snowboard gear in New Zealand. “But what if I want to buy the best gear?” No worries. If you want to invest in some new gear to keep with you for many seasons to come, we’ll go through your options in New Zealand too. Skiing and snowboarding is an expensive hobby, especially for tight-budget backpackers. Here’s how you can keep your ski season costs lower. Work on a ski field – find out more at What it is Like to Work on a New Zealand Ski Field. Buy a season pass early – otherwise known as an early bird pass. Buy second-hand board/skis and boots for the whole season, rather than renting every time. Take your own lunch to the mountain – ski field cafe food is outrageously expensive. Unless someone gives you a ski jacket out of the goodness of their heart, the only way you are going to get free ski and snowboard gear is by working for a ski field in New Zealand. What’s more is that you are required to give the uniform back at the end of the season, so you don’t need to carry it around with you. We do have to stress, however, that not all ski fields give their employees gear for free. Some ski field companies will give you discounted uniform. New Zealand ski fields start to look for new staff between January and March, so get applying well before the winter season starts! 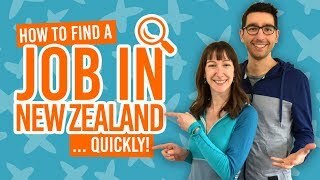 There’s jobs for all levels and experience on New Zealand ski fields, which you can read more on in What’s the Right New Zealand Ski Field Job for You. “Cheap” gear doesn’t necessary mean “the best” gear, but you can find some good deals on second-hand ski and snowboard gear in New Zealand that will see you through the winter season. You can find the best deals in the nearest towns to the ski fields, so that’s a good reason to arrive at your dream ski town destination in plenty of time before the ski season starts. We also recommend you get their early to find accommodation and a job. Rental shops – some rental companies will sell ex-rental gear for cheap or offer a “season rental”. Just ask, because they may not have this gear out on display. Local Facebook groups – search the ski town on Facebook. Classified advertising in newspapers and bulletins – such as the Lakes Weekly in Queenstown. Ski sales – some towns organise garage sale events for second-hand gear just before the season starts. TradeMe – the New Zealand auction site may have some good deals. Op-shops – also known as second-hand shops. You might get lucky and pick up a bargain on ski clothing. If you are working on the mountain for the winter season, some ski field companies offer their staff a season rental on snowboards, skis and boots at a discounted price. Sometimes a good snowboard or a pair of skis makes all the difference. There’s usually a good selection of local ski and snowboard shops in ski fields’ nearest towns, which should be able to fit you up nicely. You’ll also find shops like this in Christchurch and Auckland. (Note that Auckland’s ski and snowboard shop selection is very limited). On the other hand, the outdoor chains across New Zealand will bring in the snow gear as the ski season in New Zealand approaches. So have a look around Kathmandu, Macpac, Torpedo7, Bivouac Outdoor, Outside Sports, etc. 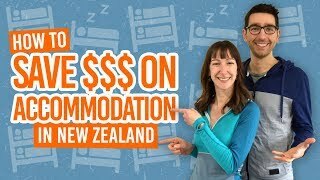 Be aware that buying new skis and snowboard in New Zealand usually costs around NZ$700 and up! This will tremendously decrease in value once you have used the gear for the season. (So be sure you want to keep it). Once you’ve bought you’re gear, maintain it well by following our tips in How to Look After Your Snow Sports Gear. More New Zealand ski season goodness! Here’s some more literature to get you ready for the New Zealand winter season.